(Bloomberg) -- Toyota Motor Corp., the world’s biggest carmaker, halted exports to Iran in view of U.S. and United Nations sanctions over the country’s nuclear program. Toyota stopped shipping Land Cruiser, Prado and Hiace models to Iran in June, Tokyo-based spokeswoman Shiori Hashimoto said by phone Wednesday. “The company will continue to monitor the international situation” and hasn’t decided when exports will resume, she said. 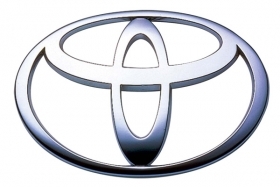 Toyota doesn’t produce vehicles in Iran and its models are sold by Irtoya, an independent Iranian distributor that has no capital relationship with the Toyota City, Japan,-based company, Toyota said. The company shipped 222 vehicles to Iran this year through May and 246 units in 2009, Hashimoto said. The Nikkei business newspaper reported the news earlier Wednesday. The U.N. Security Council in June imposed more sanctions on Iran, curbing financial transactions and tightening an arms embargo. The United States and other countries say Iran’s nuclear program is for building an atomic weapon. Iran says the program is for producing power.